Our understanding of the Cold War has been shaped by the work of historians. The global tensions of 1945 and beyond have been researched, studied and interpreted by thousands of historians. These historians have explored and hypothesised about the causes of the Cold War. They have examined the ideas, motives and actions of significant Cold War leaders. They have weighed the numerous political, social, economic and cultural factors of the period. They have evaluated the outcomes and effects of the Cold War, both globally and in particular countries and regions. These historians have formed different interpretations and reached different conclusions. As a consequence, the historiography of the Cold War – much like the Cold War itself – contains a range of views, perspectives and arguments. Why have Cold War historians formed different and often competing arguments? There are two main reasons for this. The first pertains to historians and their unique perspectives. Historians come from different backgrounds, learn history from different people and embrace different values and methodologies. Their views and priorities are shaped by their places of origin, the times in which they live and the company they keep. Secondly, the recency of the Cold War and its political divisiveness are also complicating factors. The Cold War ended less than 30 years ago and its political tensions and competing viewpoints still reverberate in modern societies. Unlike historians who focus on the Middle Ages or the French Revolution, for example, most Cold War historians actually lived through the event they are studying. Orthodox views of the Cold War emerged among historians in the United States and other Western nations in the early 1950s. This perspective is also known as the ‘Traditional view’. Broadly speaking, Orthodox historians attribute the outbreak of the Cold War to Joseph Stalin and the Soviet Union. They argue that the Soviet regime initiated the Cold War by seeking to expand and exert control over Europe and Asia. They attribute this to Russia’s inherent expansionism, the doctrine of Marxist-Leninism which preached international revolution and world communism, as well as Stalin’s anti-Western paranoia. Orthodox historians argue that Stalin broke the agreements forged at Yalta and Potsdam, in order to expand Soviet communism into eastern Europe and throughout the world. The Soviet leader’s duplicitous actions led to the collapse of the Grand Alliance and the beginnings of the Cold War. In the Orthodox mind, the United States had only a passive or reactive role in these events. American leaders entered the negotiations in 1945 with benign objectives: they sought no territory and were guided by principles rather than self-interest. Roosevelt and Truman both sought conciliation with Stalin and a post-war working relationship with the Soviet Union. When Stalin violated the agreements of 1945, however, they acted in defence of self-determination and democracy. Many Orthodox histories also offer scathing criticisms of economic policy and political repression within the Soviet system, while ignoring the shortcomings of American capitalism. 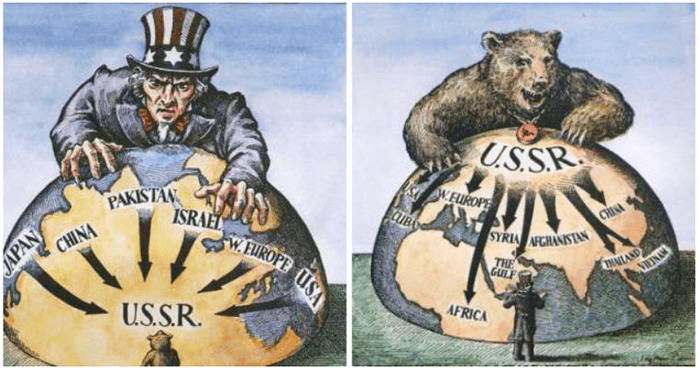 The Orthodox view became the accepted historical position of the United States during the 1950s – not surprisingly since it aligned with American interests and justified US policies like the Truman Doctrine and the Domino Theory. It remained the prevailing explanation of the Cold War until the emergence of Revisionist historians in the 1960s. Notable advocates of the Orthodox school included Arthur M. Schlesinger Jr, Herbert Feis, Thomas A. Bailey and Louis J. Halle. It may come as no surprise that many of these historians held official positions with the US State Department or other government bodies. Revisionist historians attribute greater responsibility for the Cold War to the United States. According to Revisionists, US policy after World War II was neither passive nor benign. It was driven more by economic considerations and national self-interest than the principles of democracy and self-determination. American policymakers pushed to contain Soviet communism in Europe for selfish reasons: they wanted a European continent populated with capitalist nations open to trade and American exports. Policies such as lend-lease, post-war loans and the Marshall Plan all worked toward this objective. 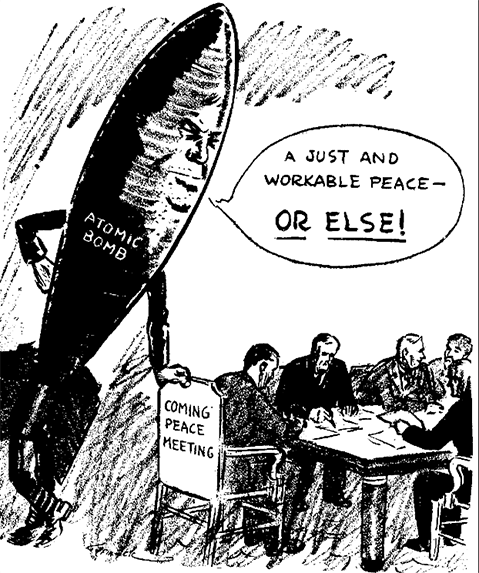 Some Revisionist historians also point to America’s “atomic diplomacy” in 1945. Gar Alperovitz, for example, argues that Truman used nuclear weapons against Japan, not for military reasons but to flex America’s diplomatic muscle when negotiating with Stalin. Justifiably or not, the Soviet Union felt threatened by America’s policies and diplomatic approaches of the mid to late 1940s, which contributed to the collapse of their alliance and a lost opportunity for post-war conciliation. The first significant Revisionist work was William Appleman Williams‘ The Tragedy of American Diplomacy, published in 1959. In this thorough but controversial book, Williams concluded that since the 1890s, the overriding function of US foreign policy has been to secure foreign markets for American-made goods and services. He calls this the ‘Open Door policy’ because it seeks to open up other nations for American capitalists by removing tariffs and other trade barriers. Williams’ analysis shattered two popular illusions: first, that the United States was an isolationist, anti-imperialist neutral power, and second, that US foreign policy during the Cold War was reactive, peace-seeking and not agenda-driven. Revisionist perspectives gained traction and popularity in the United States during the 1960s, a period when the failures of Vietnam led many to question America’s foreign policy. Aside from Williams and Alperovitz, other notable historians of the Revisionist school include Denna Fleming, Christopher Lasch, Walter LaFeber and Lloyd Gardner. During the 1960s and 1970s these historians were often referred to as the ‘New Left’, though this label oversimplified their perspectives. Orthodox and Revisionist accounts of the Cold War had many advocates, however, some historians were dissatisfied with the extremities of both perspectives. A new approach, pioneered by John Lewis Gaddis and dubbed Post-Revisionism, began to emerge during the 1970s. Post-Revisionist historians looked for a middle ground between Orthodox and Revisionist histories of the Cold War. These academics synthesised ideas and conclusions from both schools of thought – but they also enjoyed the advantages of time, hindsight, the cooling passions of Détente and, later, access to newly-declassified documents from both sides of the struggle. The Post-Revisionist movement was sometimes referred to as ‘Eclecticism’ because it borrowed heavily from existing research. Revisionists called it ‘New Orthodoxy’ because they believed it pushed responsibility for the Cold War back onto the Soviet Union. The first significant Post-Revisionist account was Gaddis’ 1972 book The United States and the Origins of the Cold War, 1941-1947. Gaddis considered existing explanations for the Cold War but widened his focus, examining “external and internal influences, as perceived by officials responsible for [policy] formulation” in Washington. He also acknowledged the limitation of not having access to official Soviet archives, meaning historians must assess Soviet policy “from without”. Gaddis identified several factors that contributed to the emergence of a US-Soviet cold war: historical problems pre-1941, including a lack of communication and formal recognition; the delay in opening up a second Allied front in Europe, leaving the Soviets three years to battle the Nazis unaided; Washington’s refusal to recognise a Soviet sphere of influence in eastern Europe; and Truman’s ‘atomic diplomacy’ and refusal to share nuclear technology with the Soviets. 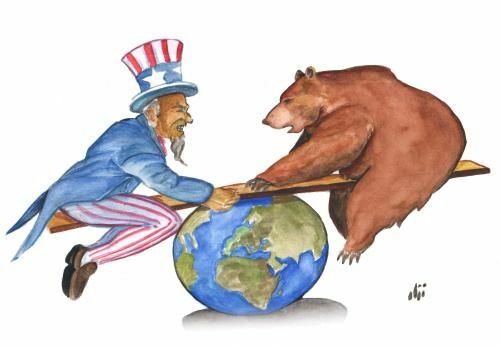 The end of the Cold War has also caused a shift in perspectives. The dissolution of the Soviet Union in 1991 allowed the opening of Soviet archives, once denied to historians. This access has led to new research and shifting perspectives. Some Revisionist and Post-Revisionist historians have modified their positions, particularly with regard to Joseph Stalin and Soviet policy. Gaddis, for example, published a new text in 1997 after “slogging dutifully through archives in Moscow, Prague, Berlin, Budapest, Beijing, Hanoi and Havana”. Gaddis took a much firmer line on Stalin, who “partly driven by ideological and geostrategic ambitions, partly responding to the opportunities that lay before him, built a post-war European empire”. Other historians have also returned to claiming the Cold War as an ideological struggle, rather than one based on power or geopolitical rivalry. Some writers and academics have pondered what the Cold War means for the future. Two of the best-known theories were developed by political scientists Samuel P. Huntington and Francis Fukuyama. Writing in 1992, Fukuyama claimed that the end of the Cold War was the final victory for democracy and capitalism. Liberal democracy had emerged as mankind’s highest-evolved and best form of government, surpassing all other systems. According to Fukuyama, this marked the “end of history”: not of historical events or change, but of the great historical struggle between ideologies. Huntington’s view of the future was more pessimistic. A former advisor to the US government during the Vietnam War, Huntington suggested that the collapse of the Soviet Union would produce significant changes in the world order. Future tensions and conflicts, he argued, would be driven not by ideology or competing economic interests, but by fundamental differences in social structure, culture and religious values. Huntington’s thesis became known as the ‘clash of civilisations’ theory. 1. Historians have reached different conclusions and formed different arguments about the Cold War, including how it began, who was responsible and what conditions and factors perpetuated it. 2. Orthodox historians attribute the origins of the Cold War to Joseph Stalin and Soviet aggression. 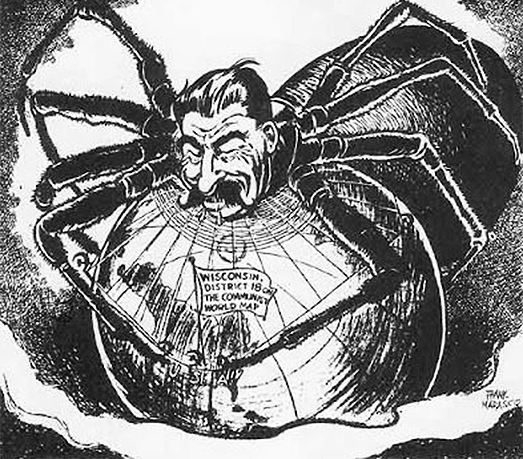 Stalin’s violation of post-war agreements led to a defensive policy response from the US and the West. 3. In contrast, Revisionist historians argue that US foreign policy was unnecessarily belligerent, seeking to contain Soviet communism to create a Europe that was more amenable to American trade and exports. 4. Post-Revisionists draw on the Orthodox and Revisionist schools and seek a middle ground. They suggest that neither superpower was wholly or mostly responsible but that complex factors were at play. 5. Post-Cold War historians, some of them with access to previously unavailable Soviet archives, have returned to describing the Cold War as an ideological conflict. Some, like Huntington and Fukuyama, have attempted to understand the implications for the future. J. Llewellyn & S. Thompson, “Cold War historiography”, Alpha History, accessed [today’s date], https://alphahistory.com/coldwar/cold-war-historiography/.